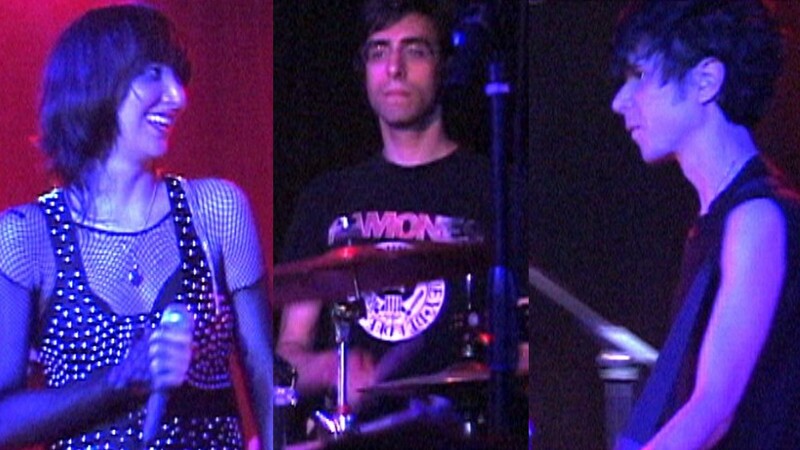 After a lengthy time off the road making their 3rd album "It's Blitz" our old pals launched their 2009 campaign with a last-minute warm-up show for friends and family at Santos Party House on Easter Sunday/Passover. Along with hot new songs like the new single 'Zero' the band's set included a cover of The Cramps' 'Human Fly' - an obvious tribute to the recently departed Lux Interior. The clip I give you here - 'Poor Song' - was the last word before the band set off to conquer the planet.. I also include the last song ' Revelations' from openers, and Zinner protogés, Freshkills. Sorry, no DVD on YYY, but there is one on Freshkills - that is DVD1562-01. Metromix pix from this show.